Van Dyke House, New Castle, Delaware. Principle elevation, conjectural restoration. Historic American Building Survey, sheet 3 of 8 sheets, 1934. 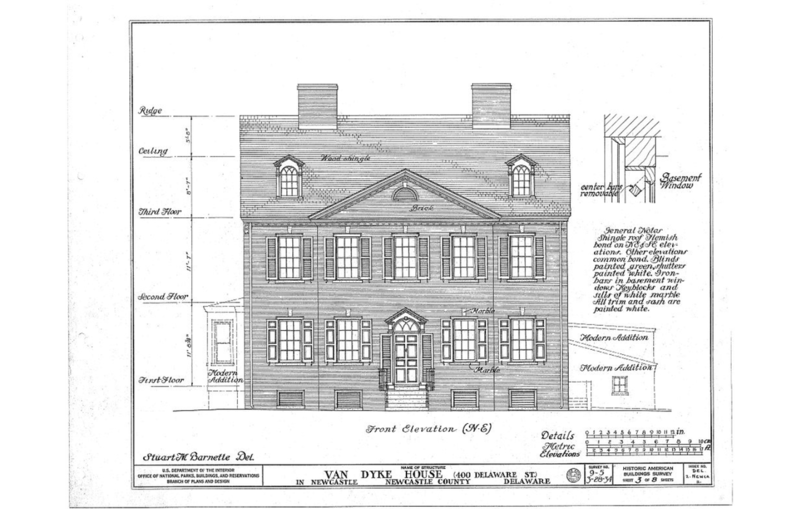 Van Dyke House, New Castle, Delaware. Side elevations, conjectural restoration. 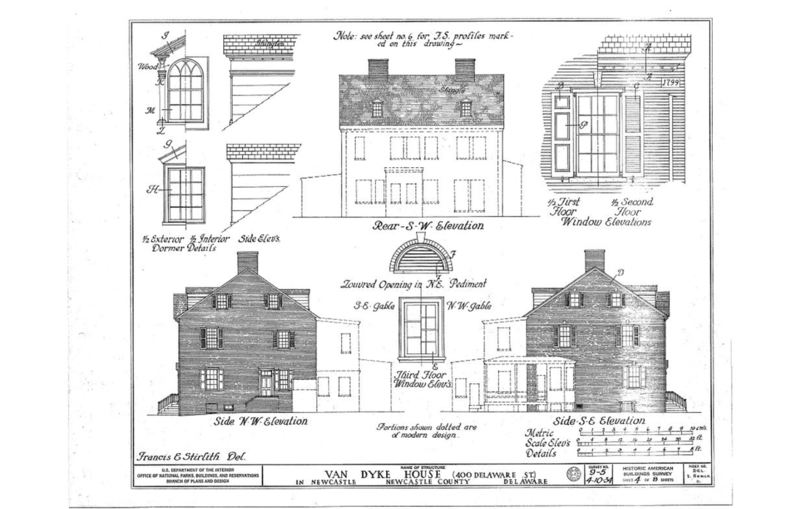 Historic American Building Survey, sheet 4 of 8 sheets, 1934.